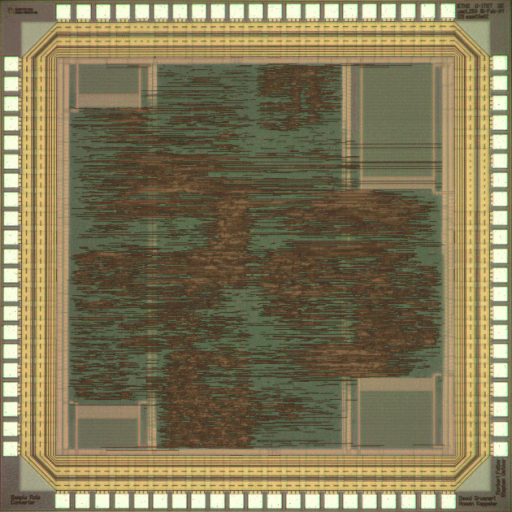 This chip is an asynchronous sample rate converter targeting professional audio applications. Input and out sampling frequencies in the range of 1 to 192kHz are supported with a resolution of up to 24 bits. The audio inputs and outputs are provided using I2S ports. After a conventional four-fold up-sampling of the input data, B-Spline interpolation of order 8 is used to calculate the new samples at double output sample rate, which is finally decimated to the requested format.